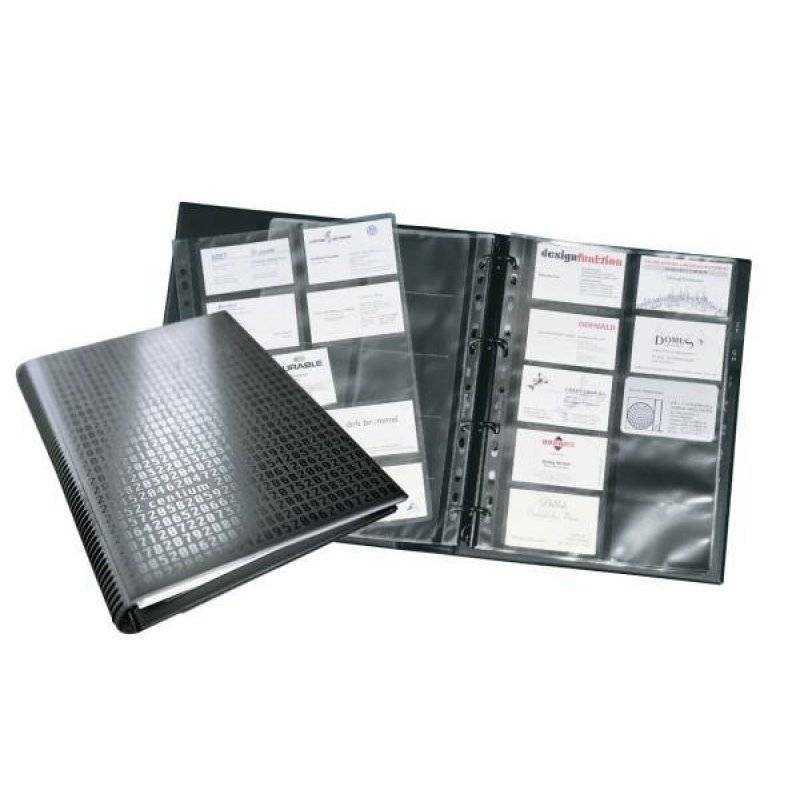 Business card ring binder with 20 pockets for 400 business cards size 90 x 57 mm. Complete with 12 part A-Z index. Extendable with product # 2389 which provides space for 200 additional cards.